Mrs. Esperanza said that when she was having her son, Eliazar, there were problems with his birth. When he was a baby, the doctors predicted that he would never walk or talk. As time went on, this prediction became reality, and for 17 years, Eliazar’s mother had to feed him, change his clothes and carry him everywhere he needed to go. This burden was great, but Mrs. Esperanza never got tired of praying for her son’s healing. Until one day God answered and she saw a miracle, Eliazar walked. This January, using a cane, Eliazar Martín Perez walked into the La Misión clinic with his mother. He smiled widely while his mother told us what God had done and the miracle she had witnessed. Now Eliazar can not only walk, but talk, dress himself, eat without any assistance, and even travel by bus on his own. We find testimonies like this each time we go out into the communities we serve. God is amazing and is ever present, and we are able to see this through each miracle that walks into the La Misión clinics. What a blessing it is to be able to experience these miracles! 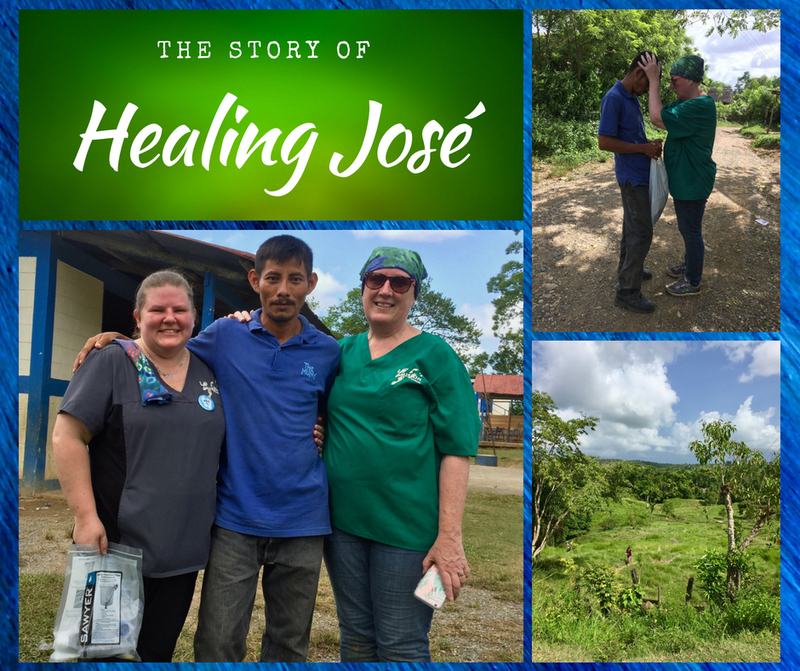 The story of José’s healing began in a semi-rural village in Puerto Barrios, Guatemala. This village was not in the area where we usually go but was remote with little access to healthcare and other necessities. It was the end of our second day working in the village and a part of our team went out to deliver water filters to three homes. While in the homes, we prayed for the families and taught them about the “Living Water” of Jesus Christ. At the last house we were unable to get the nozzle of the water filter to seal correctly so it leaked. We told the family that we would return later to replace the filter and make sure that it worked. Then we returned to the area where the rest of our team was performing medical clinics. Once back, one of the ladies who delivered filters kept asking about going back to the house to fix the filter. The house was on the road we would be leaving on, so we planned to just stop on our way out of the village instead of making another trip during clinics. She continued to persist that we should return to the house “now” and eventually we went back. Only three of us walked back to the home and were able to repair the water filter. As we started to walk back to the clinics, we were able to talk alone with the village leader, José. José told us about the village and it’s people and we asked questions about his family and life in the village. He told us of the people’s hardships, and then began to discuss his home life, or lack there of. He had been in a relationship with a woman but she was unable to have a child, so they parted ways. The cultural norm of these rural villages is to grow up, get married, and have children. If one is unable to do that, the “society” of the village thinks they are “cursed” and outcasts them. José had struggled with this situation. He was very depressed and having other issues that were keeping him from finding a woman to be his wife and have children with. We asked if he would like prayer. He said that he had been watching us pray for the people in the village over the past two days, but because there were always people around, he did not feel comfortable asking for us to pray for him. José did not want anyone in the community to know that he was struggling and needed prayer because he would be considered “weak” and gossip would spread. We asked again if we could pray for him. Right there, in the road, we began praying. Afterwards, we returned to the community area were the clinics were wrapping up for the day. The rest of the way back, José was smiling, laughing, taking deep breaths, and walking much “lighter” than before. It was amazing to see this man’s transformation. This is a story of God’s plans and the power of prayer. God is amazing! To Him, be all the glory! 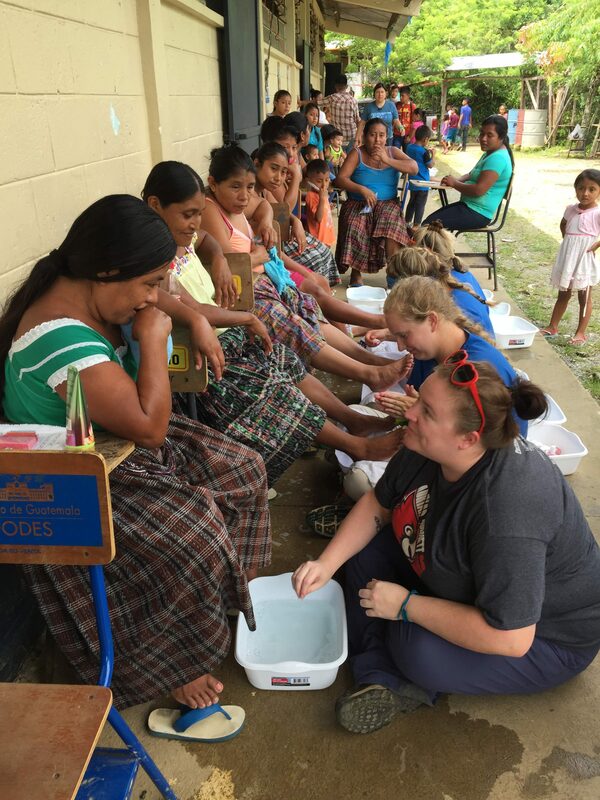 The highlight of the year: Over the past several years, the women have been served by the short term mission teams from the churches and organizations we work with in the United States by foot washing and pedicures, among other activities. It has been wonderful to see how this small gesture of serving and pampering them is opening new doors. The staff changes: Although it is sad to see people go (they are all irreplaceable), there is a time and season for everything, even with being a part of La Misión. – Dr. Lenin, our surgeon, who was initially working with us full time, needed to step back, but has been working with us when he is available. We are praying that in the future (as we work on constructing/reconstructing surgical center in Puerto Barrios) things will work out for him to come work with us full time.  – Bryan followed his heart and God’s call to begin walking the path God is laying before him. This has been a great loss for La Misión, but a huge leap of faith for Bryan and God’s kingdom. – Alex has almost completed his law school and will only be working with us when he is available in 2018. Although we will miss him, we are very excited for him and are praying for his success as he begins his practice. – Alessa has been amazing in working with La Misión’s scholarship program and the Palencia school. However, unfortunately for La Misión, she will not be returning in 2018 as well. – Jonathan Garcia, who was one of our teachers at Palencia, will start working with La Mision. He will be helping Dr. Tito, as well as overseeing the optical (eye) clinic. – Joy Woodie (from Tennessee, USA) joined La Misión full time over 2017. 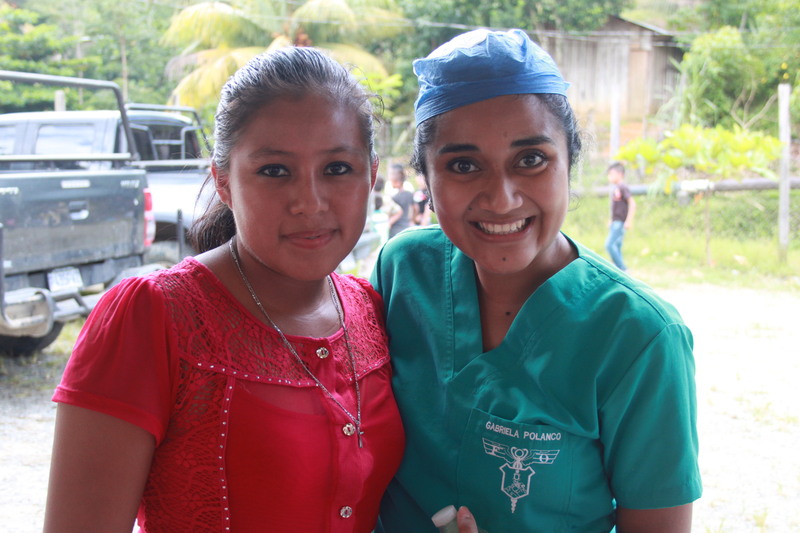 She has been working with us remotely for the past five years, but was able to move to Guatemala this past March. Among other “jobs” as a nurse and otherwise, she will help us with our goal to communicate with each of you more frequently. We are truly glad for her to finally be here serving with us. – In 2018, Katie Begbie (also from Tennessee, USA) will be moving to Guatemala to work full time with La Misión. She has interned during the clinic seasons for the past three years, so we are anxiously awaiting her arrival and seeing all God has planned as her piece fits into the puzzle of the La Misión team. We know that God is just preparing for many great things to happen in His kingdom, and are truly grateful for those who have served with La Misión over the years. Please pray with us as we wait on the Lord to bring new team members to fill these positions. Prayers needed: Tito is seeking God’s guidance in finding a new assistant to help share the multiple responsibilities of keeping La Misión working seamlessly. Let’s all be in prayer that the person God has been preparing will make himself known in the upcoming year. New Website: We have been working on constructing and updating a new website for La Misión. Please know it continues to be a work in progress, but we would like to hear what you think, what more information you would like us to put on it, and any constructive feedback on how we can better keep you informed of what is going on here at La Misión. Thank you so much for all your love and support over the past years. We know we don’t say it enough, but we truly appreciate each one of you and how you love us, our families, and La Misión. We are excited about all the things we have planned for 2018, and look forward to sharing each experience with you. That is the one thing that keeps Jennifer coming back with a great attitude each time we set up the clinics in the remote villages of Puerto Barrios. It doesn’t matter if she can only stay for a short time, she will travel to the village where we are working and give as she has received from God. She says that one day she received the help that she needed the most and now wants to help others receive what they need. Jennifer has such a grateful and generous heart to serve our Lord and the communities in the Puerto Barrios region, as well as her own. As Jennifer helped in the clinics, our relationship with her grew as well. We were reminded of the vision God gave us many years ago to assist the rural, public schools in Puerto Barrios to help with the overcrowding of classes. Jennifer was hired as a teacher in Sarita where the public school there only had three teachers for six grades,. With the money Jennifer is receiving from La Misión, she has decided to further her education through the university level. How wonderful it is to see small blessings multiplied, shared with others, and honor God every step of the way. If you would like to know more about this project, please visit http://lamisionguatemala.org/ruralschool/. We will have more information available as we are able to develop this project further in 2018. In 2009, La Misión heard of a woman with seven children that were very ill. Despite seeing her and the children many times in the La Misión clinics, their health did not improve. After making a “house-call” to where the family lived, we saw the condition of their home and that they had almost nothing to eat. With the help of a Texas church’s support, we have been able to purchase and provide food for this family, see their health improve, and share the Gospel with them over the years. Approximately two years ago on trip out to the villages in Puerto Barrios, a woman and her children came to one of La Misión’s clinics. Seeing that the children were morbidly malnourished and the mother with a blood oxygen level so low that we didn’t know how she was still alive, we knew they desperately needed our help. Thankfully, we were able to find sponsorship for this family and began purchasing and providing food for them. Now that they are healthy, the family comes to visit the La Misión team each time a clinic is near. It has been such a blessing to see the family’s health improve, the smiles return to their faces and hear laughter as the children play. With the father healthy enough to work and provide for his family, the family was able to afford to build a house. This year the La Misión team was invited to their new home to pray with them and praise the Lord for all their blessings. We thank and praise the Lord for each and every one of you that we have supporting La Misión through your love, prayers, sponsorships, actions, and service each and every year. We could not be the hands and feet that show the love of God to those in need here in Guatemala without each of you! 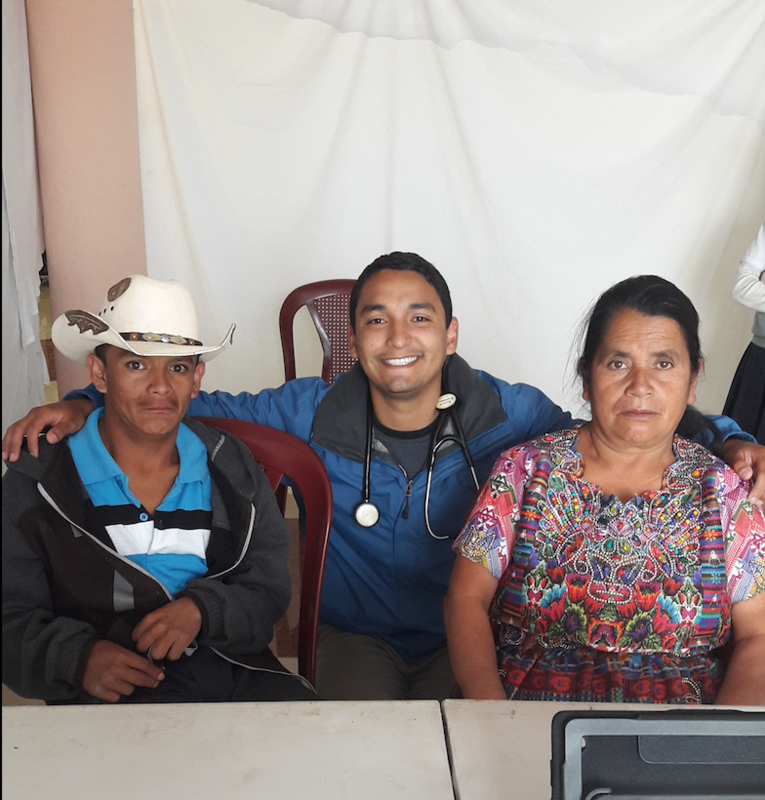 We started off our clinic season in April with Saddlerock Evangelical Presbyterian Church and La Misión served in the Lampara and San Carlos villages. 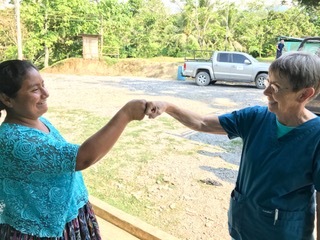 We loved seeing two female doctors and leaders in their community grow in this amazing relationship they have formed over the many years this church has been returning to the same villages and working together now (see photo). Also, how those with “prestigious” titles throughly enjoy not only coming to Guatemala to serve “medically” as doctors, ultrasound technologists, dentists, dental assistants, etc. but also to hand out and demonstrate the use of water filters and spread the Gospel (see photos). One of the most touching parts about this trip was not only seeing the relationships with the villagers grow, but also this beautiful Weber family (grandparents, parents, and children) interact and demonstrate the true meaning of family. Each day after the clinic day was finished and lunch was served, they would sit together and talk about what they had done and seen during the clinic day and how God was present and seen in all of it (see photo). We are always truly blessed not only to serve with each of you each year, but also be able to see glimpses of God through you. You are such a blessing to each of us here in Guatemala (villagers included) and we thank you for your service with La Misión. It is amazing how God works! While attending the annual Global Missions Health Conference in Louisville, Kentucky in 2016, we were walking through the Exhibitor’s Hall where vendors come to show the products and/or information about their company and/or mission. One of the exhibitor’s booth caught our attention because their mission was providing prosthetic limbs. Although we had not yet encountered someone that would need this service in Guatemala, we stopped to speak with the exhibitors. 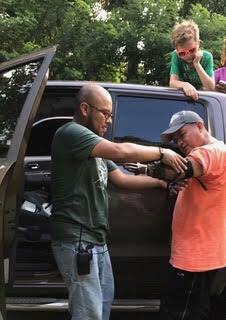 As we spoke with them, they said that they believed that in our line of work we would come across someone that will need a prosthesis and wanted to give us a prosthetic arm. Although we did not currently know anyone in need of this gift, we graciously accepted it. Of course, God had Francisco in mind when this Divine meeting took place. Who is Francisco? Well at this time we did not know him either, but during the clinic season this year we met him. Francisco is is a gentleman who lives in Las Pavas in the Puerto Barrios region of Guatemala. When we first saw Francisco he we saw that he had no forearms or hands but was carrying a cooler. We were amazed that this man was carrying such a load even with his “disability.” Instantly, Dr. Allen remembered the prosthetic that was given to us at the conference. Puerto Barrios is part of the rain forest and coastal regions of Guatemala. Therefore, the heat and humidity in this area is very high almost all year long. The perfect thing about the prosthetic we received and were able to provide for Francisco is that it is made of plastic and not from metal. Again, this is a Divine intervention because if it were metal, the potential of it rusting is much larger. With this prosthetic limb, Francisco will be able to have his independence back and be able to do essential things such as eating, brushing his teeth, carrying items (that are not too heavy), etc. God heard Francisco’s prayers and want for a more “normal” life. He knew Francisco needed this prosthetic limb. He arranged the Divine meetings and interventions necessary for Francisco to receive an answer to his prayer. God works in our lives like this every single day. He knows what we need before we even know we need them. He provides the answers before we know that we even have the question. He is the one who sets up these “Divine meetings” that we encounter along our paths of caring and helping others. It is up to us to listen for His instructions and accept His gifts so that we can be a blessing from those things with which we have been blessed.